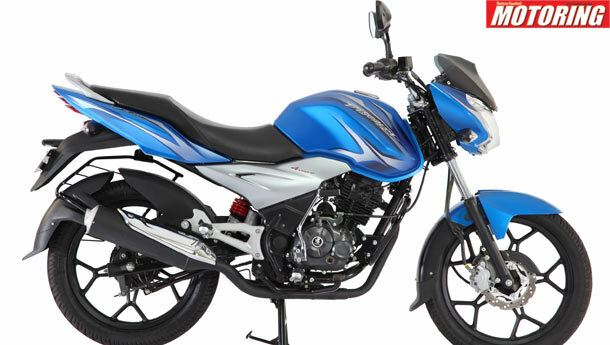 The motorcycle is powered by Bajaj's Twin Spark Technology. The 4 valve, 125 cc air cooled engine delivers 12.8 bhp of power @9000 rpm and 1.1 kgm of torque @7000 rpm to the rear wheel via a 5-speed gearbox. The good news is the addition of a monoshock nitrox suspension at the rear which should make rides more comfortable. Stopping is achieved by means of a petal disc brake at the front and drum brakes at the rear. The bike gets an all-new front end which looks sportier than the previous model. They've replaced the rounded headlight cluster from the previous gen Discover and gone in for a more chiselled looking front end. The fuel tank is now more muscular and blends nicely with the new headlamp cluster. A dash of aluminium on the sides helps spruce things up a bit as well. Overall, the new Discover is a good step up from the previous model and we expect it to be priced at around Rs 50,000 to 55,000 ex-showroom.